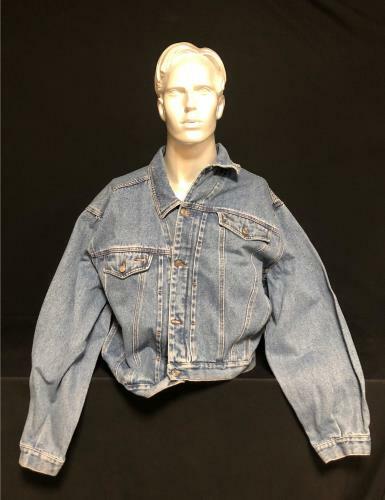 IRON MAIDEN Iron Maiden (1990s US large sized classic trucker style stone washed pale blue denim jacket with metal button-up front, button cuffs, waist and breast pockets, with 'Original Streetwear Remix United Inc' label inside. 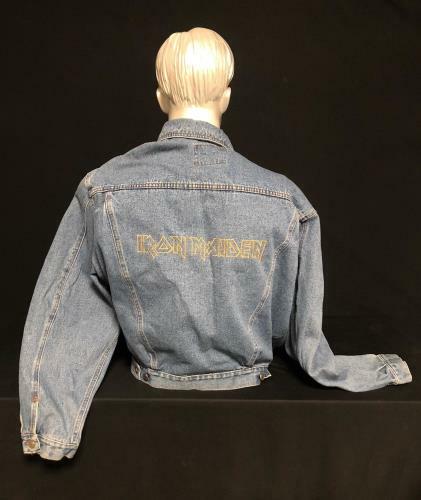 We are guessing this would have been from around the 1992 Fear Or Of The Dark period, as has the 'Iron Maiden' outline logo embroidered across the back in gold. 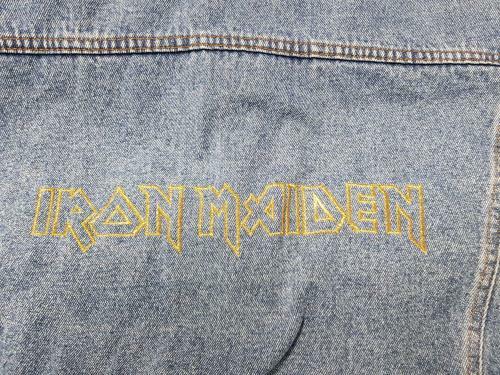 The jacket displays minimal signs of being worn with the text on the back intact). 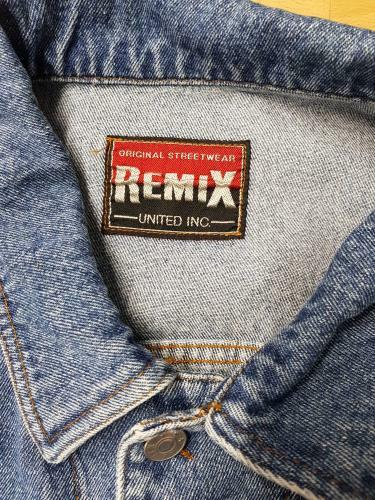 Record Label: Remix United Inc.